Combine ingredients in a shaker with ice. Shake 30 times (50 if you like your cocktails a little less strong). 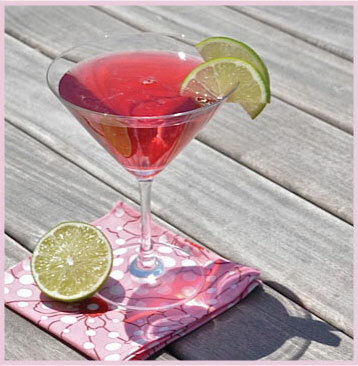 Strain into a martini glass, squeeze the juice of a lime wedge into each drink, then garnish with the wedge.